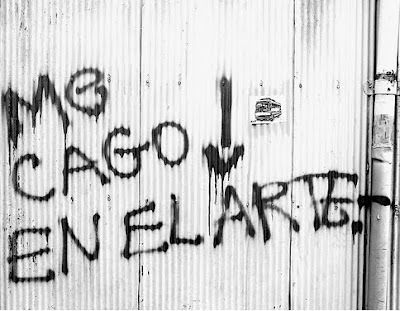 Amylulita says...: Rad Art Work: Graffiti from Chile! Seems that no matter what country you are in Graffiti it's either considered art, worthy of display in galleries and exhibitions or just plain vandalism, punishable by law. I say to each his/her own so I believe a lot of Graffiti is definitely rad works of art specifically designed to be scene and heard. 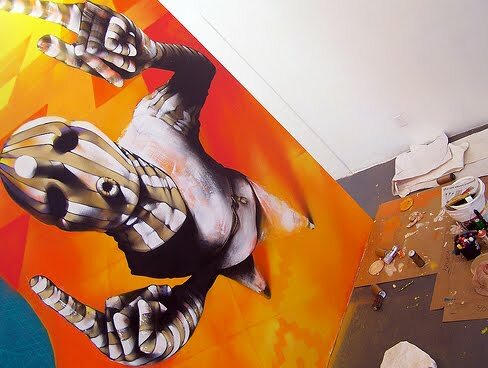 My personal experience w/ Graffiti isn't at all something to brag about; consisting of a handful of movies like Beat Street, Wild Style, and Style Wars as well as my VERY short run of tagging adventures in NYC back in 2000 under the name "KILLAPINK"...haha. Controversies still surround Graffiti after all these years creating disagreement amongst city officials/law enforcement and Graffitists looking to display their work in public locations. According to Chile's English newspaper The Pulse this isn't so much the case in Valparaiso, one of Chile's World Heritage sites. With beauty, eclectic personality, and irresistible charm, it has been referred to as the ‘jewel of the Pacific’ for the history, art, science, beauty and architecture. As it’s name suggests, the city of Valparaiso is considered a paradise by many. Despite being a seemingly old and poor city at first glance, there is an underlying richness and modernity to this town. Artists, architects, musicians, and poets have fallen in love with this town...including Graffiti artists. Valparaiso is a Graffiti mecca. Street artists own the streets just as much as residents do; home owners lend their walls to local and international graffiti artists while tourists take pictures of the art as they walk along the streets of this open air museum. Artists, such as Inti Castro or Charquipunk, are known as recognized artists and visitors roam the streets looking for a piece of art belonging to them. 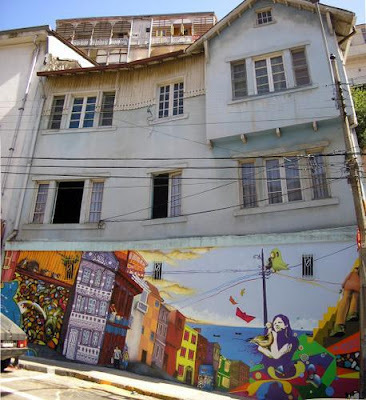 The geography of Valparaiso comes into play in the graffiti world as well as it offers diagonal walls, endless stairs, and labyrinths of narrow streets.